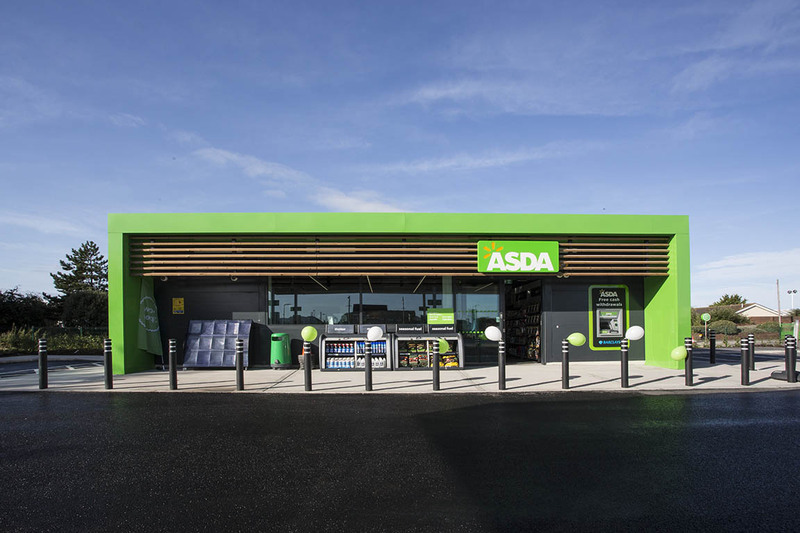 Bowman Riley was appointed by Longcross Construction to provide architectural services for a new build Asda supermarket Tain, Scotland. 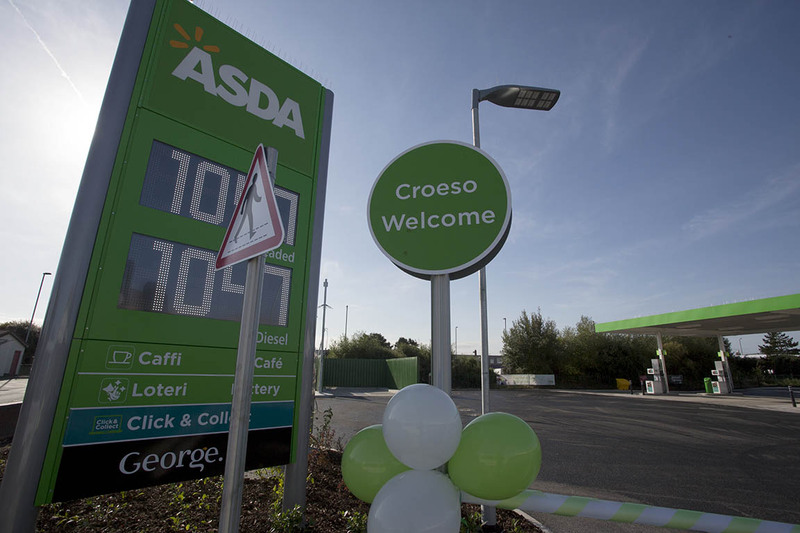 The development comprises a café, petrol filling station and car park including charge points for electric vehicles and bicycle facilities. 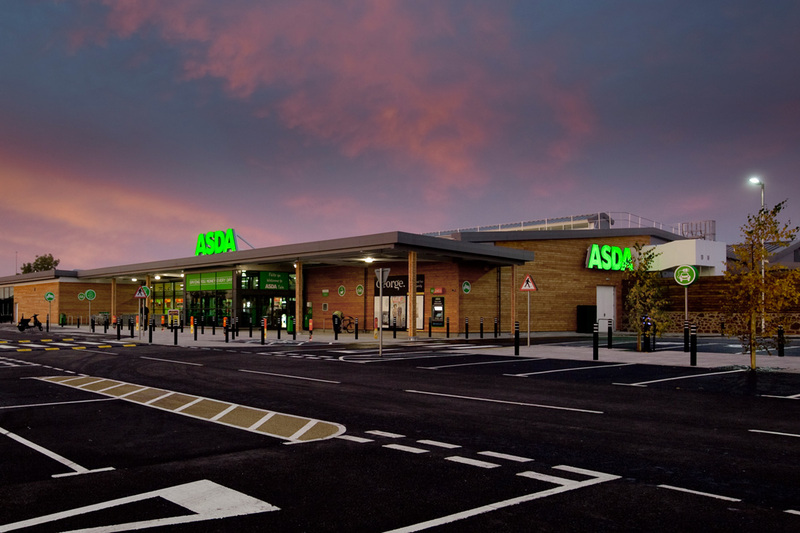 Delivered on a design and build basis, Longcross selected Bowman Riley as their preferred architect to take the project through to completion using the BIM software Revit. 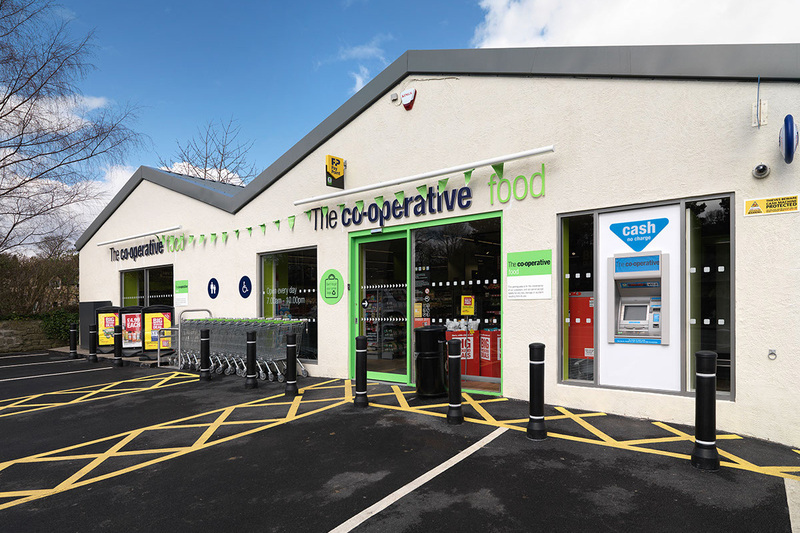 The 34,000 ft² supermarket is partially timber clad and surrounded by existing boundary stone walls that had to be retained. 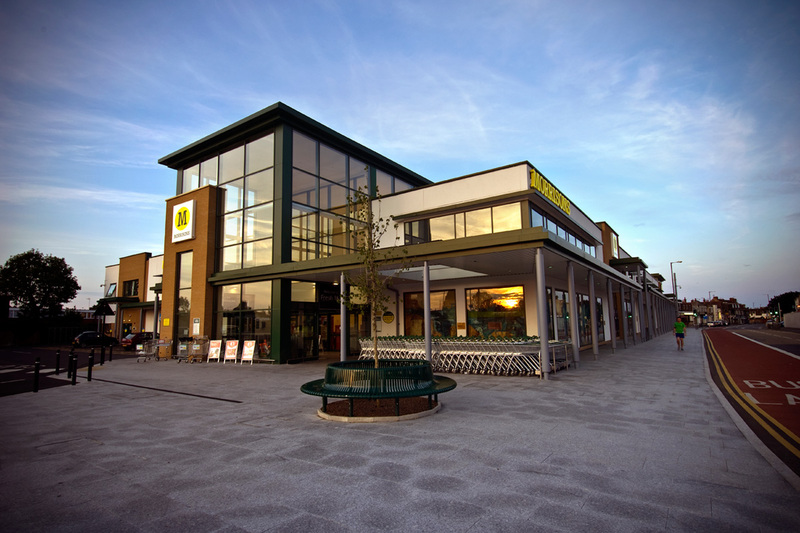 The supermarket is the first major food retail offering in the town of Tain and was opened in autumn 2012. 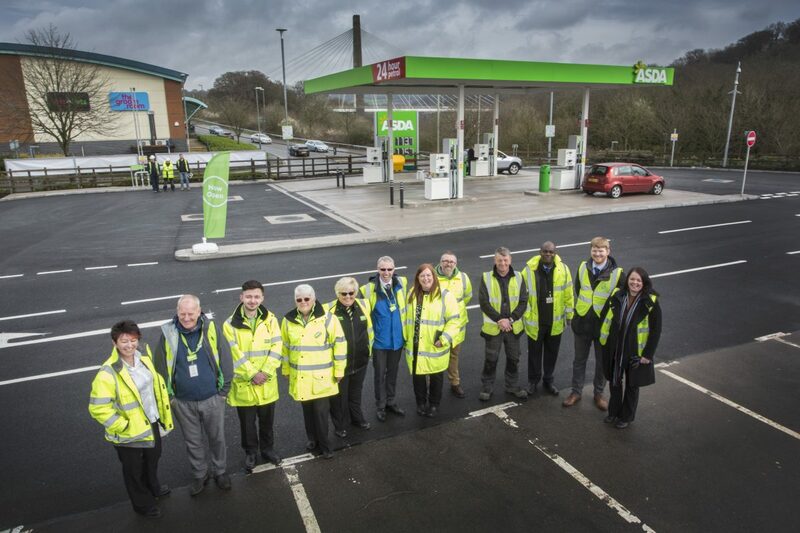 The development has created around 90 jobs for local people representing a major long-term boost to the local economy. Bowman Riley has been working for Wm Morrison Supermarkets for 25 years. It is testament to our ability to adapt, innovate and strive to break new grounds in terms of project delivery efficiency, cost savings and sustainability that we are retained as framework architects. 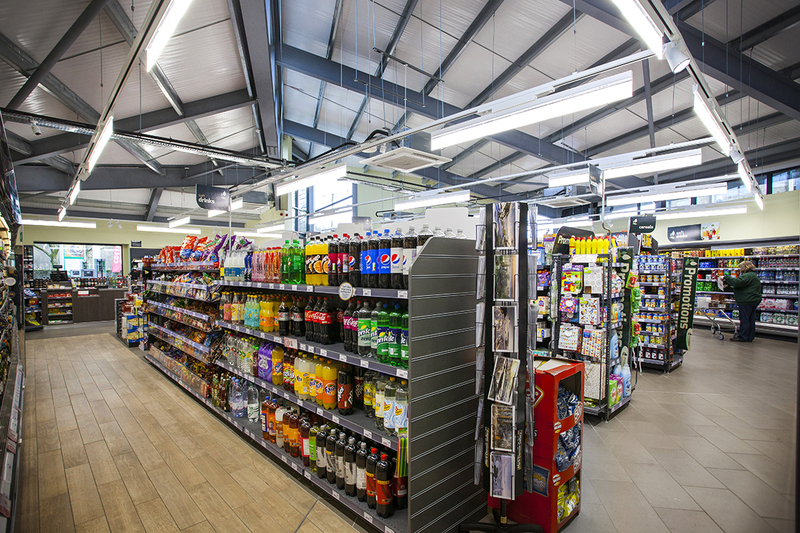 Store conversions following Morrison’s acquisition of Safeway, Somerfield and Netto stores. 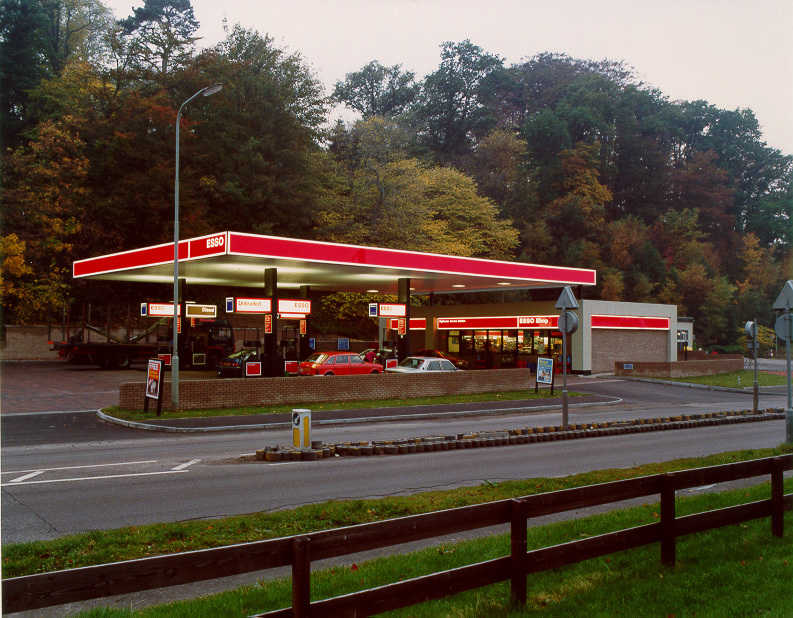 Creating the manual for the design of petrol filling stations for all framework architects to follow. 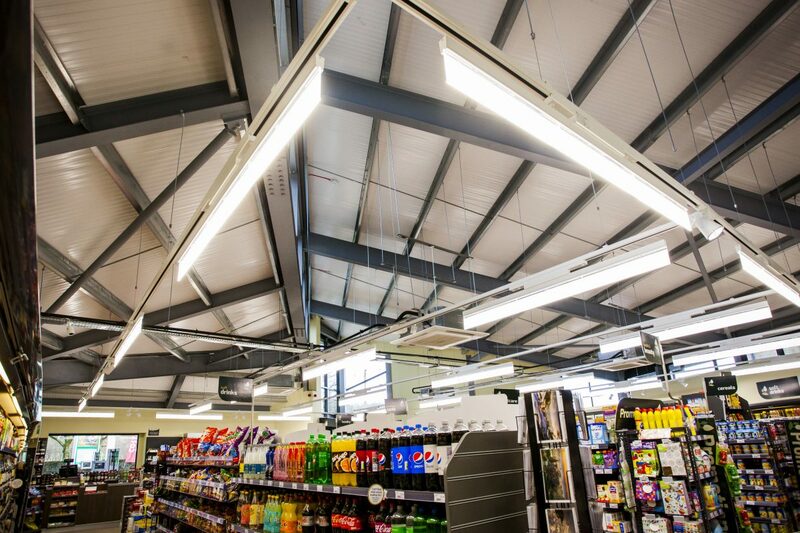 Kidderminster became the first BREEAM Excellent supermarket in the UK. 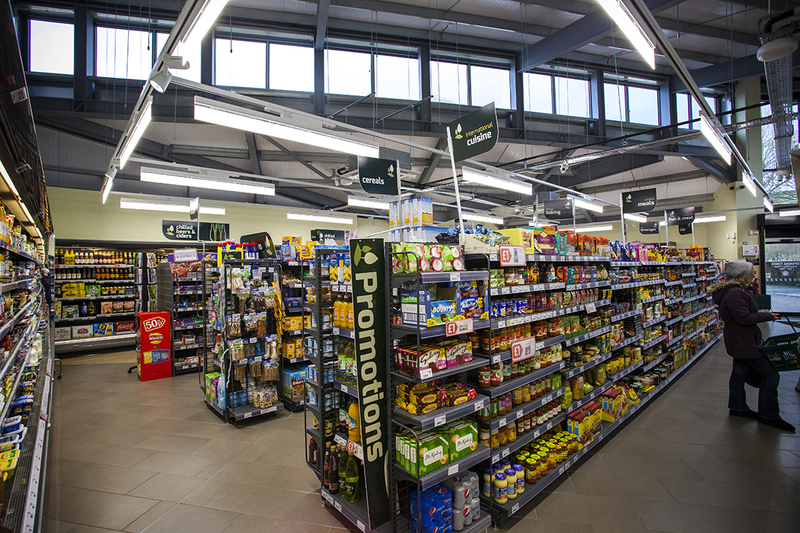 Morrison’s first fast track store at Minehead under their first Design & Build contract. Fastest new build store in Littlehampton working closely with the contractor to reduce programme. 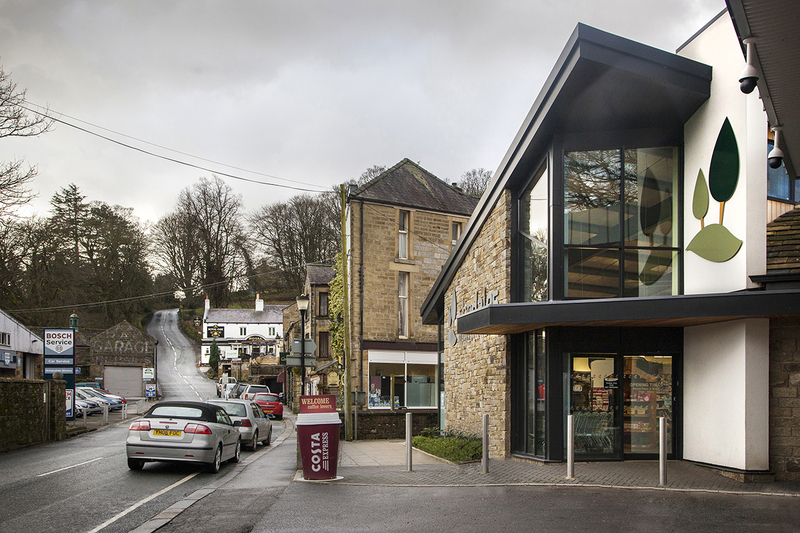 On the Newport supermarket, we saved 30% of the contract sum (£2.8m). 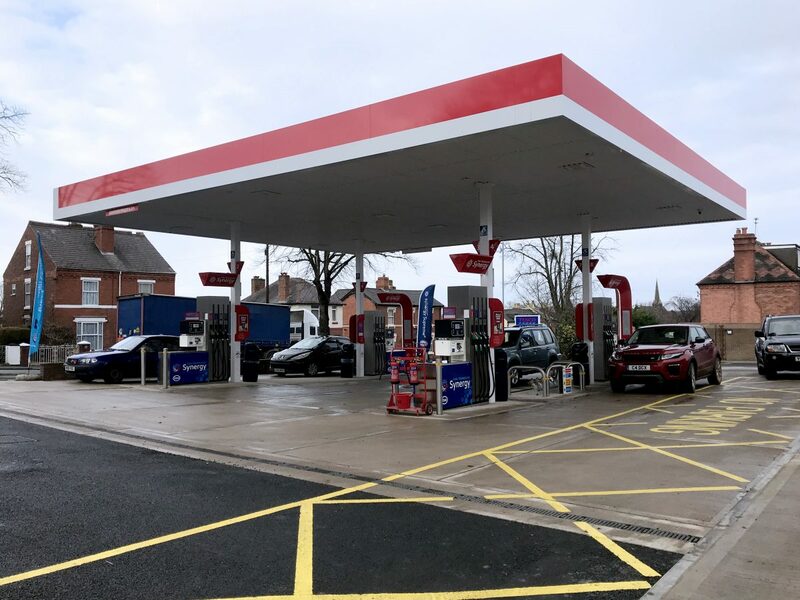 Under a current framework agreement with Esso, Bowman Riley completed an extensive refurbishment to an existing petrol filling station at Bewdley Hill in Bewdley, Kidderminster. 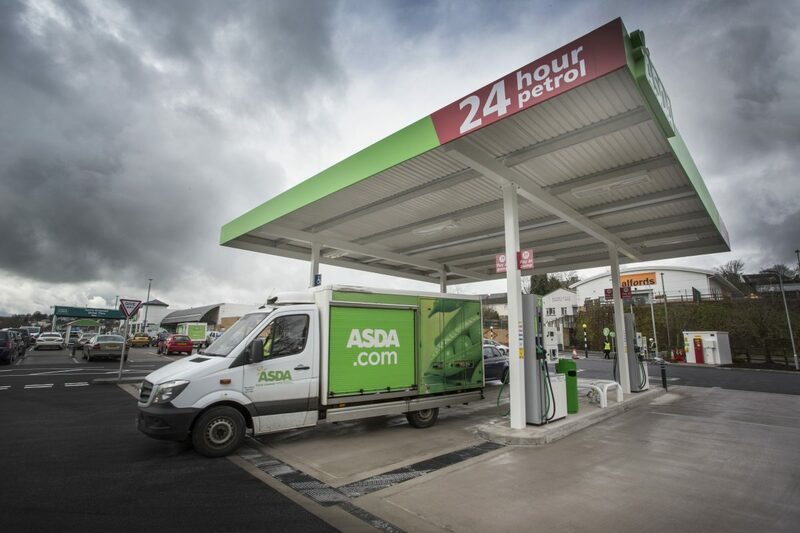 The petrol filling station has four dispensers with pay-at-pump, two 60,000 litre tanks, canopy, refreshed shop, driver controlled delivery unit and totem signage. 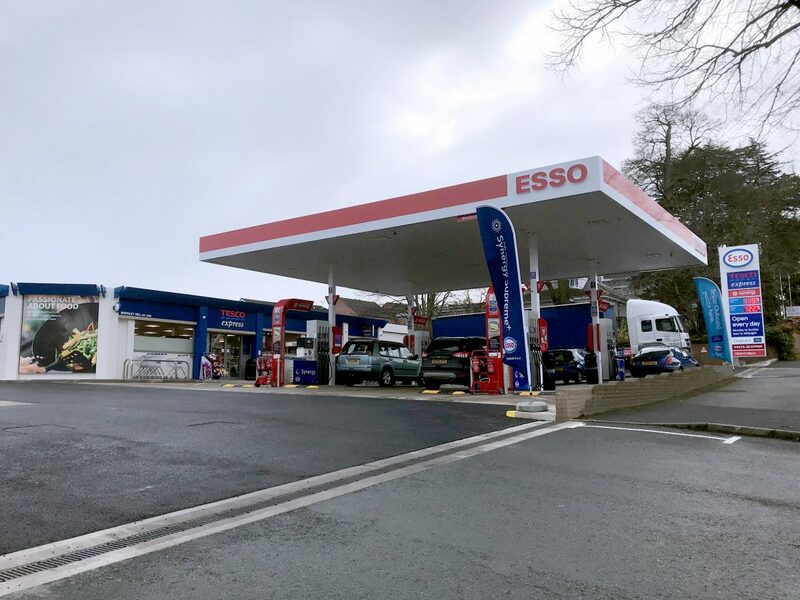 This project is part of Esso’s continued programme to replace the fuelling infrastructure at their sites with safer, more energy efficient equipment. 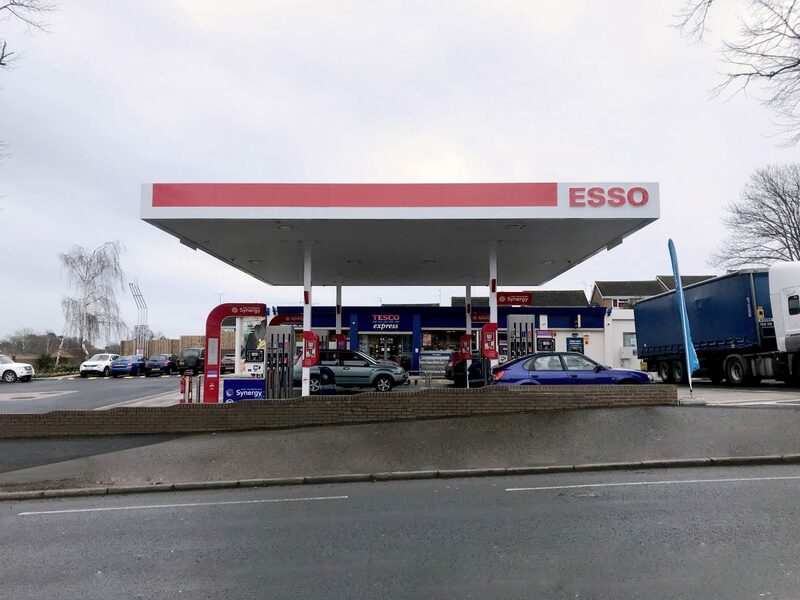 In addition, the site in Bewdley was particularly challenging due to the steep slopes making customer vehicle access difficult leading to a small number of vehicles rolling off the site into neighbouring properties. 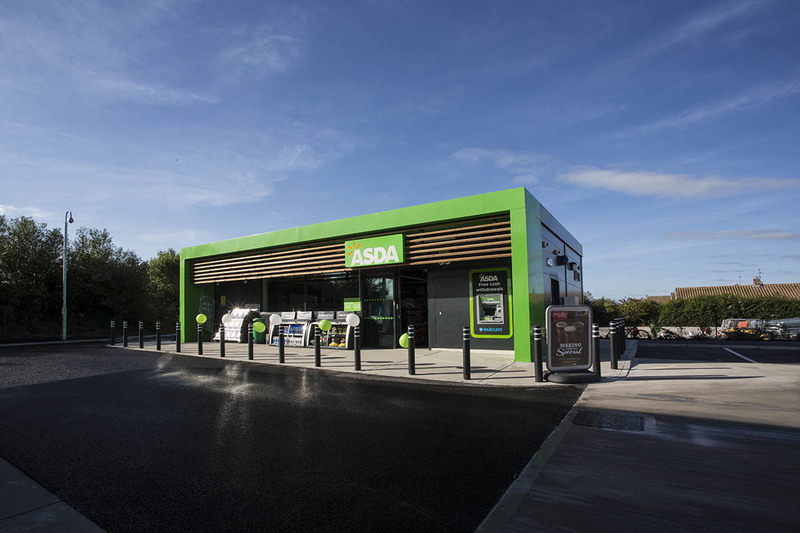 Bowman Riley undertook the roles of designer, party wall surveyor and client advisor on the project working alongside the main contractor, Dakin Service Station Contractors, Millard & Partners structural engineers and project managers, Artelia. 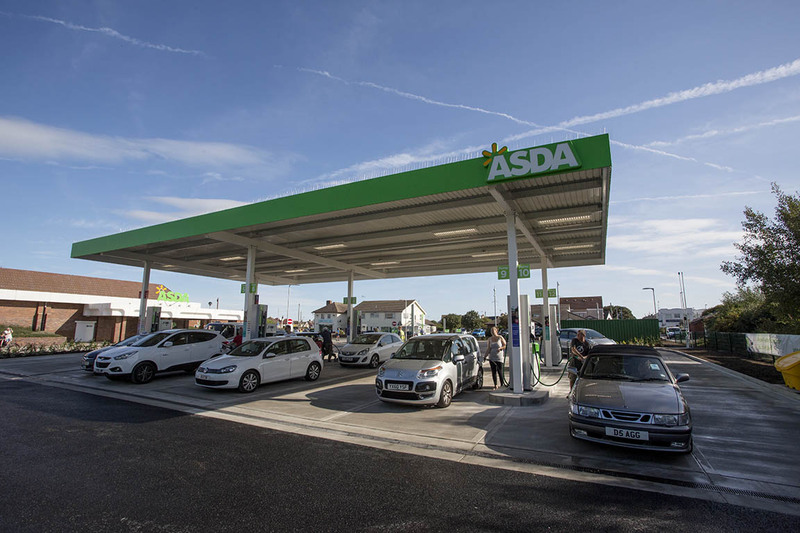 The scheme involved the complete reconfiguration of the forecourt and car park to create additional parking for the store, along with two additional fuelling positions. 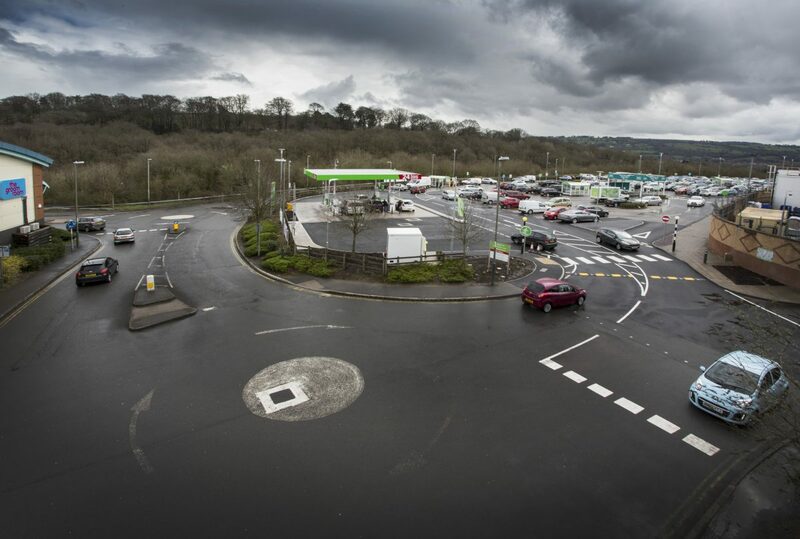 Our design improved the forecourt by maximising the space whilst making a safer forecourt operation on this challenging sloped site. 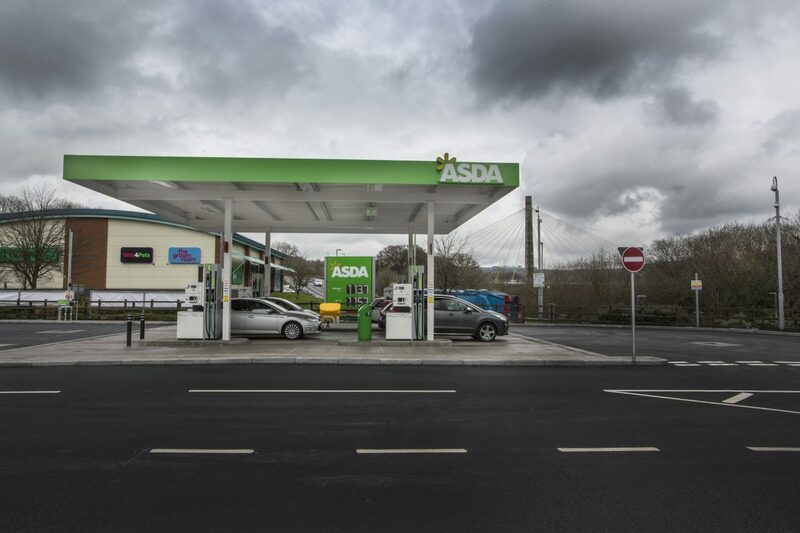 Bowman Riley works on a joint venture basis with Catfoss to design and deliver modular petrol filling stations on behalf of Artelia for all five major petroleum companies. 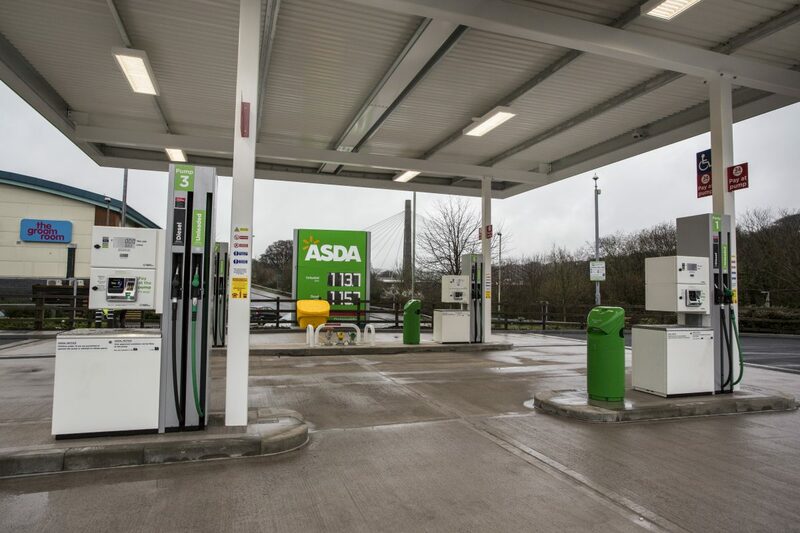 Our modular solutions fulfil a need to provide new petrol filling stations faster and more efficiently. 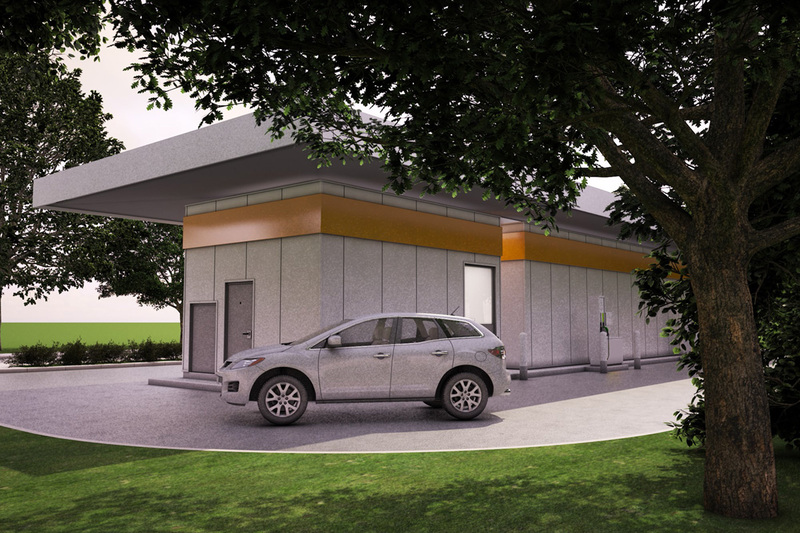 We are currently involved in the design of two modular models; a large-scale, more traditional petrol filling station and a temporary station with above ground tanks for deployment to a range of sites for several petroleum companies. Using the latest technology, the modular projects we deliver are predominantly built off-site in controlled environments. This speeds up the construction process as modules can be created simultaneously in a factory at the same time that site work is occurring. There are also benefits in terms of embedding sustainability and reducing carbon, as it produces less material, less site disturbance and offers greater flexibility and reuse. 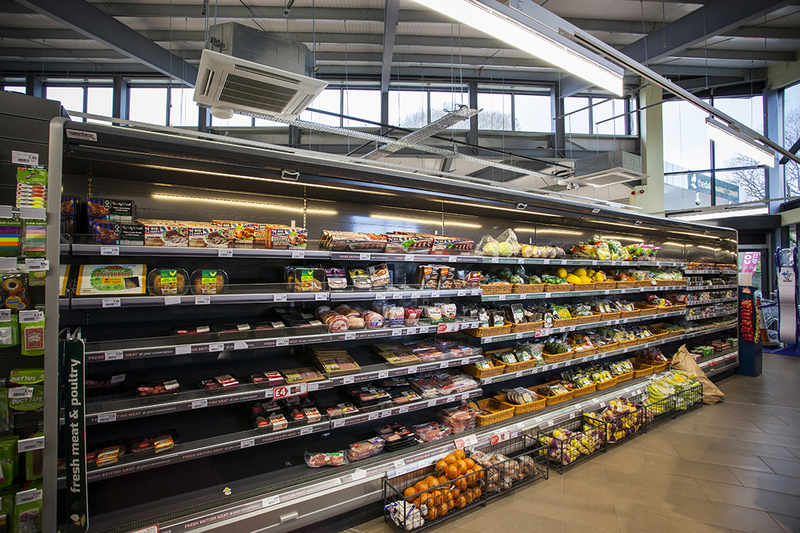 Bowman Riley has been working for Wm Morrison Supermarkets for 25 years and it is testament to our ability to adapt, innovate and strive to break new grounds in terms of project delivery efficiency, cost savings, sustainability, that we are retained as framework architects. 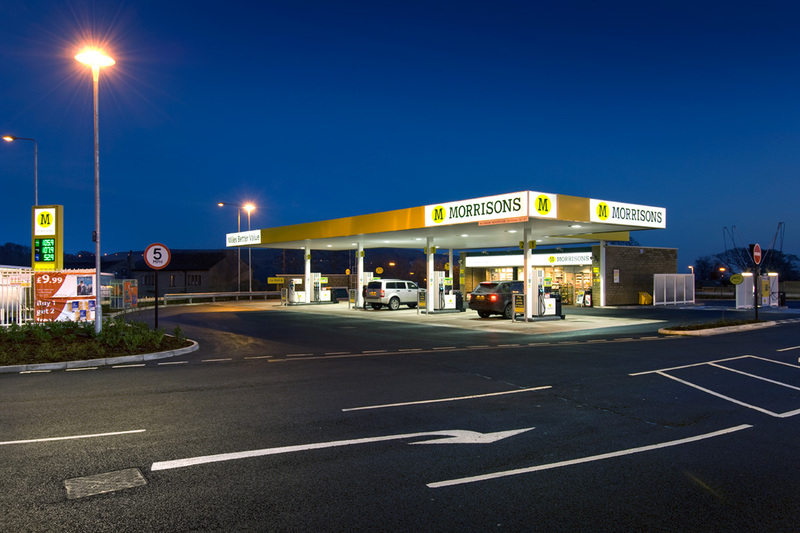 We have successfully designed and delivered numerous supermarket developments including petrol filling stations alongside new and existing stores across the UK. 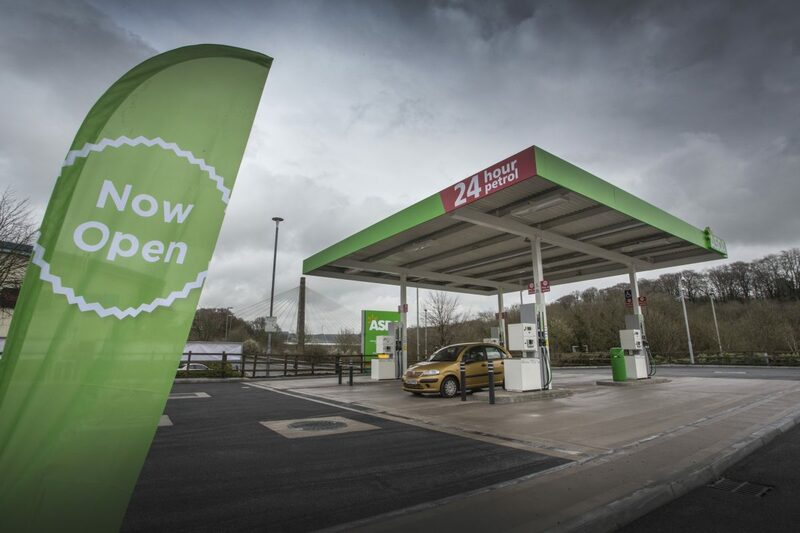 The new supermarket we designed in Illingworth, Halifax achieved BREEAM Excellent and featured the UK’s first entirely LED lit petrol filling station. 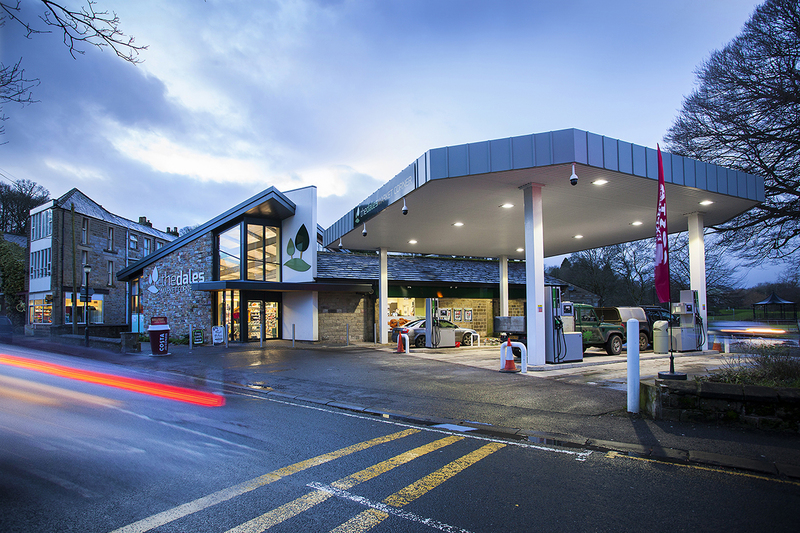 The supermarket and petrol filling station we delivered at Minehead in Somerset was Wm Morrison’ first ever new build design and build project driven with a focus on value engineering and speed of construction whilst maintaining a high level of quality.